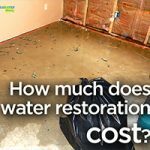 Water can be the single most destroying factor in your house. When left unchecked, standing water and even dampness can result in mold, dissolving walls/floors, and various other structural issues. Not only standing water can cause problems, but the onslaught of winter can bring about freezing which can result in damage as well. 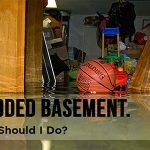 Here are a few tips that can be used to help prevent damage from water happening in your home. 2. Check your gutters often for pileups, and clean them every fall to prevent backups and leaks. 3. Keep pipes from freezing (which can have disastrous results) by leaving the heat on in your business or home while you are on vacation. Also, make sure to close any valves inside which feed water to outside faucets.